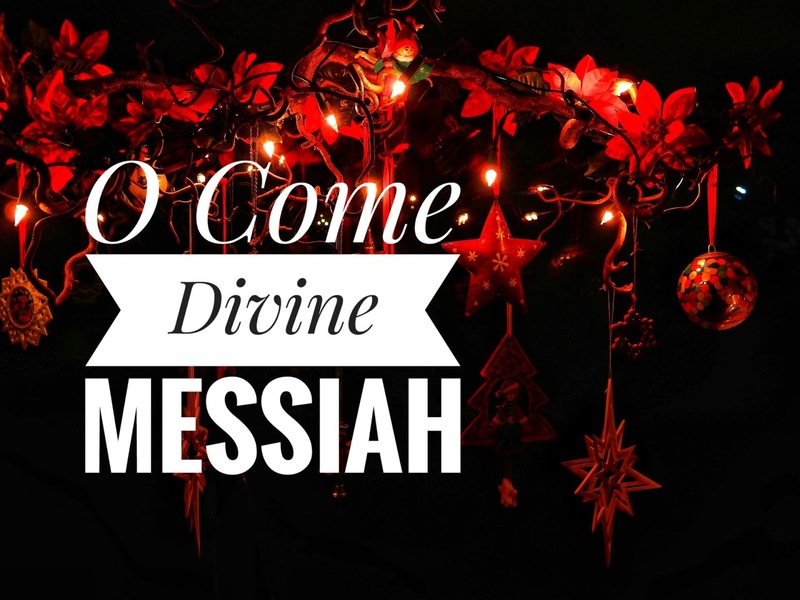 This Advent hymn was written in French as "Venez, divin Messie" by abbot and hymn-writer Pellegrin, M. l'abbé (Simon-Joseph) (1663-1745). The English translation is by English Notre Dame Sister Mary of St. Philip, SND, aka Mary Frances Lescher (1825-1904). It was first published in 1877. With meter 7.8.7.6.888 with refrain, it is almost always set to a 16th century French tune VENEZ, DIVIN MESSIE which was written by Marc-Antoine Charpentier (1643–1704). Many choral / instrumental arrangements. Sweet Saviour, haste! Come, come to earth. We shall Thy God-head see. w:2~~~break the cap-tive fett-ers, re-deem the long_lost fold. w:3~~~clothed in hu-man weak-ness we shall your God_head see.